The substantial remains of Hilgay Station are located behind a modern house at the intersection (and termination) of the Top and Lower Hilgay Road immediately south of the intersection with Lower Hilgay Road overlooking the junction of Bryan's Creek with the Wannon River and about 10kms south-west of Coleraine. 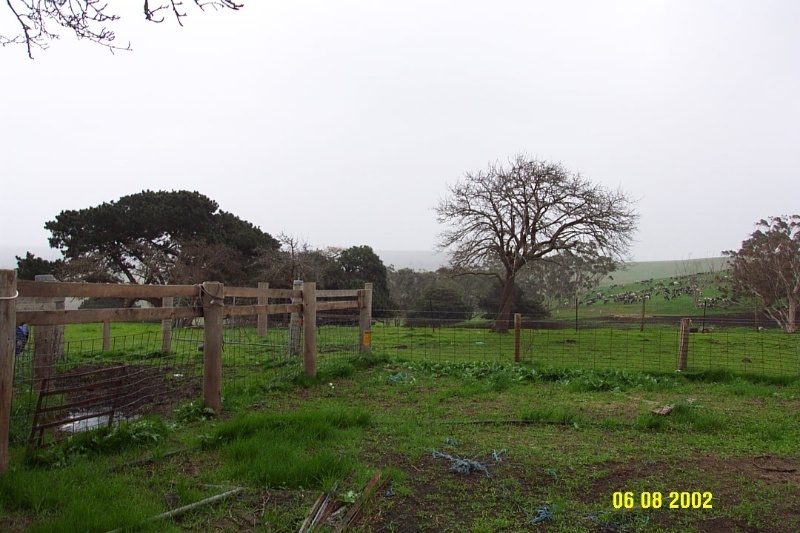 The setting of the original homestead site was deliberately picturesque, capturing broad views in all directions. 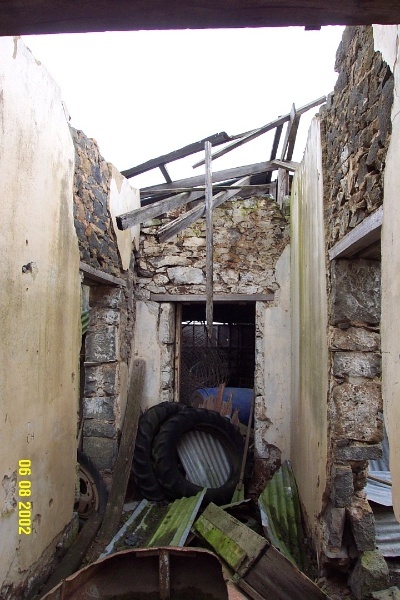 The original homestead is now in a ruinous condition, but it is clear that it was a symmetrical, single-storey bluestone villa, with a timber front verandah enclosed by wing walls. French doors opened onto the verandah. Other windows appear to have been double-hung sashes. The form, planning, detailing and materials suggest a relatively early date of construction. Substantial plantings appear to have existed around the house. 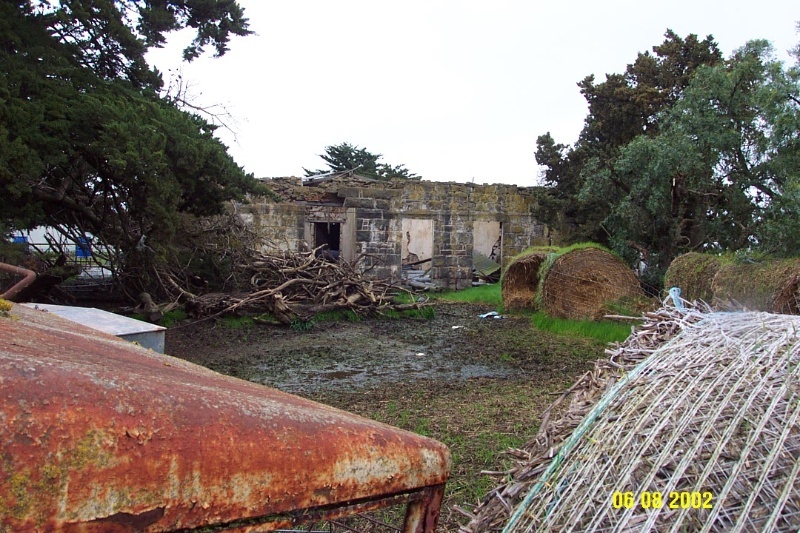 Several trees, almost certainly dating from the construction of the homestead, including three Italian Cypresses (Cupressus sempervirens), a Monteray Cypress (Cupressus macrocarpa), and a Peppercorn (Schinus molle) survive immediate to the ruined house. Arthur Pilleau first took up the squatting run, but it seems that Alfred Arden built the house during his occupation. Arden, of an ancient English family, was one of the first and more unusual squatters in the Western District. 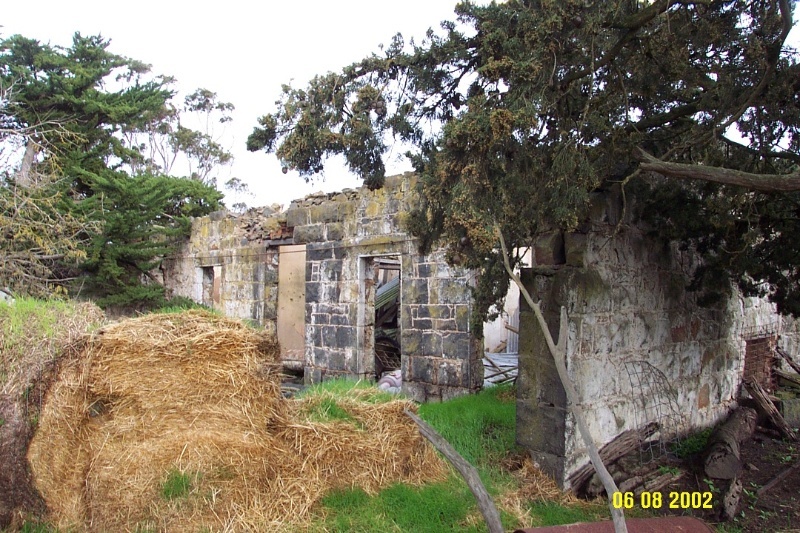 From 1859, Donald Cameron owned Hilgay and it appears to have been managed or leased by its owners until subdivided for soldier Settlement in the early 1920s. The house was already derelict by that time. R J Vickery purchased the homestead block and his family moved into a new house, since demolished, built in front of the old at the beginning of 1923. 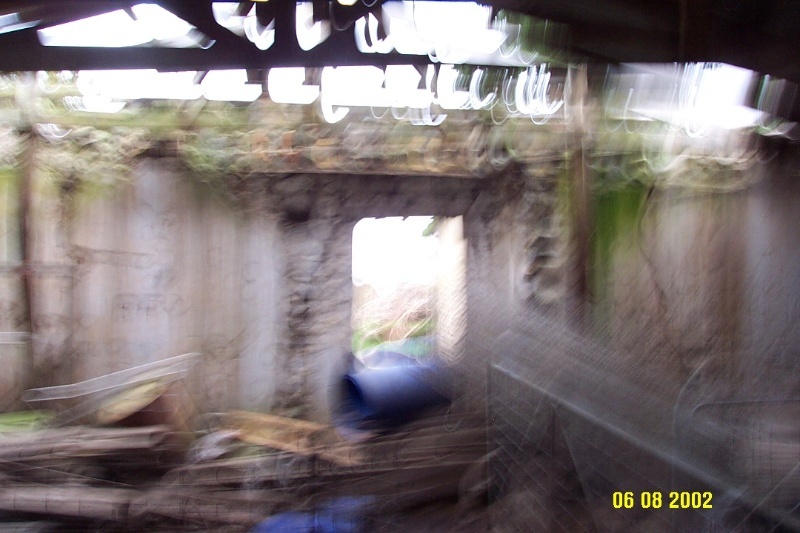 The house is in ruins but retains a high degree of archaeological potential. The former Hilgay Station is of historical significance for its ability to demonstrate a previous way of life, now lost; for its sequence of owners and occupants including the transitions from squatting, to selection, to Soldier Settlement and beyond. It is particularly significant for its connection with the important figure, Alfred Arden. The former Hilgay Station is of architectural significance as a very early homestead building, dramatically sited with a picturesque sensitivity and an unusual form. The trees which survive from the nineteenth century illustrate typical plant selection and planting style, and provide an understanding of how the homestead would have sat within its immediate landscape as well as the larger Wannon Valley landscape. 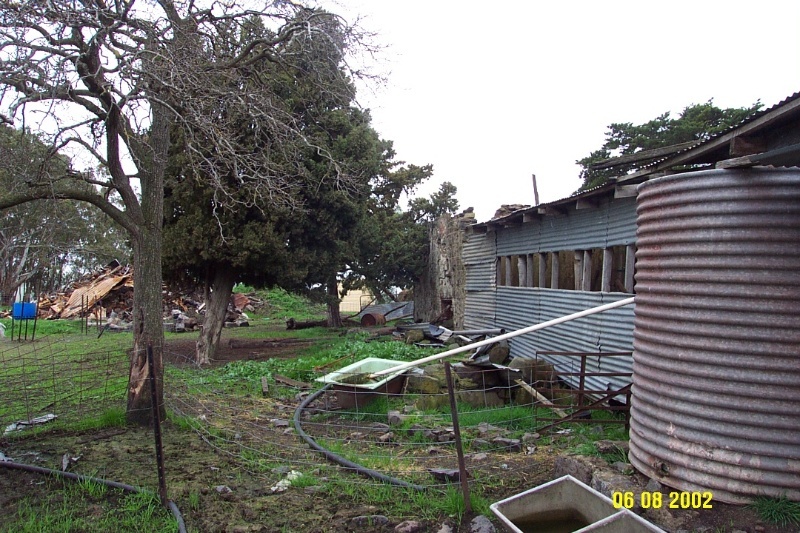 It remains an important landmark in the landscape of the Wannon Valley. 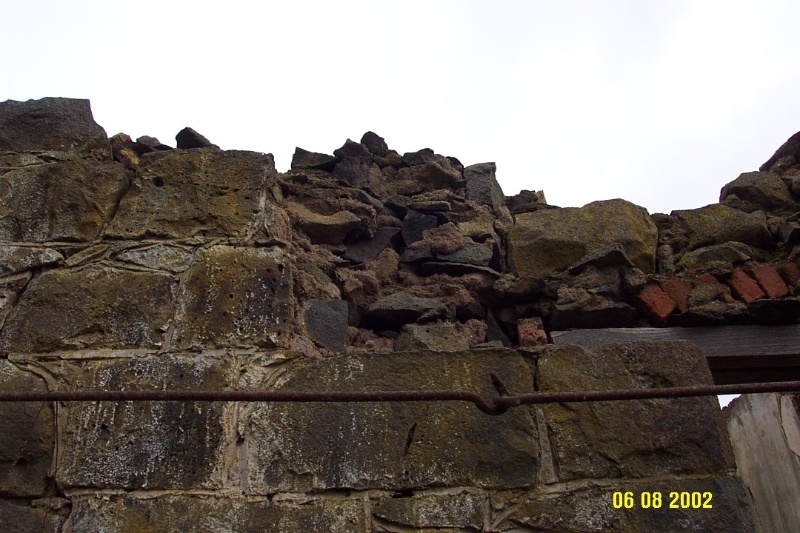 The bluestone walls are in a deteriorated but reasonably stable condition. Much collapsed building material lies inside the front rooms and hall. 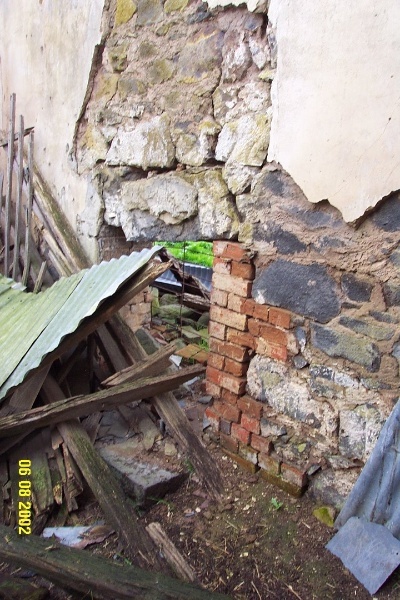 Footings and foundations survive both in front of and behind the walls still standing. 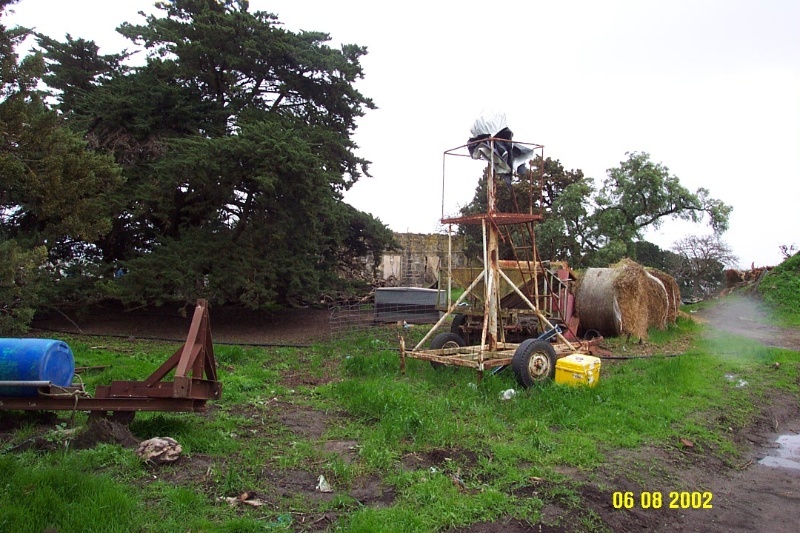 The site retains a very high archaeological potential. The former Hilgay Station consists of a number of bluestone walls, believed to date from as early as the mid-1840s but possibly from the mid-1850s. These are the remains of an early homestead associated with pioneers Arthur Pilleau, the first owner and Alfred Arden, the second. At one stage the homestead consisted of twelve main rooms, of which eight were timber. 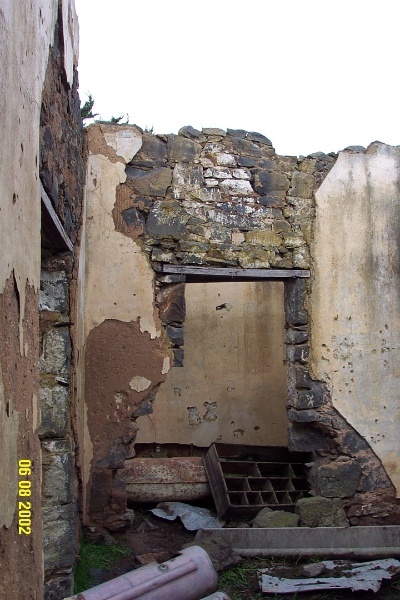 It is clear from the ruins that the house was sophisticated in its style and form and that it was well built. The plan and appearance of the house can be easily surmised from the ruins and it is well remembered by Mr Noel Vickery who grew up there in the 1930s. 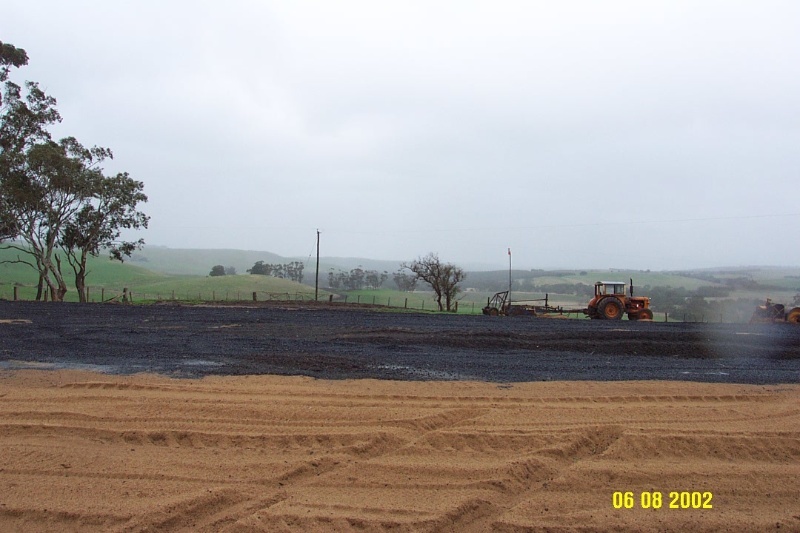 The house, which was built at the end of a ridge running south-west towards the junction of the Wannon River and the Koroite Creek, faced south-east across the valley of the Wannon and towards One Tree Hill and the squatting run, Struan. One indication of the early date of the house is that the front windows were treated as French doors. The house was unusual because it was asymmetrical, having two windows on the right side and one window on the left side of the large front door. 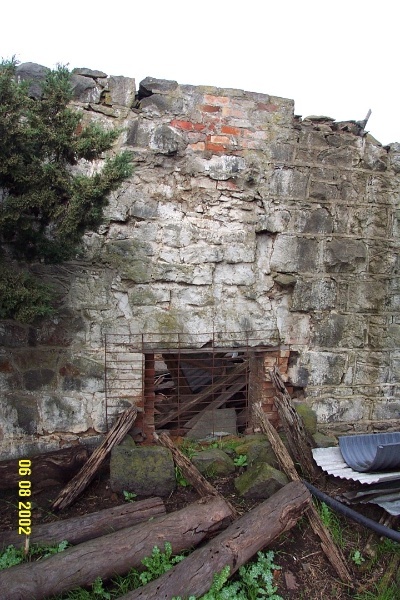 Chimneys built of brick were located in the side walls. There was a verandah across the facade with stone walls at either end. It was unusual because the hipped slate roof of the house and the verandah were contiguous. The walls were plastered internally and there were lathe and plaster ceilings. The ruined condition of the facade reveals that there was a brick relieving arch over the front door's stone lintel. The rooms immediately behind the two front rooms have been demolished but it seems clear that these, at least were masonry. There seem to have been further rooms in timber forming a service wing. 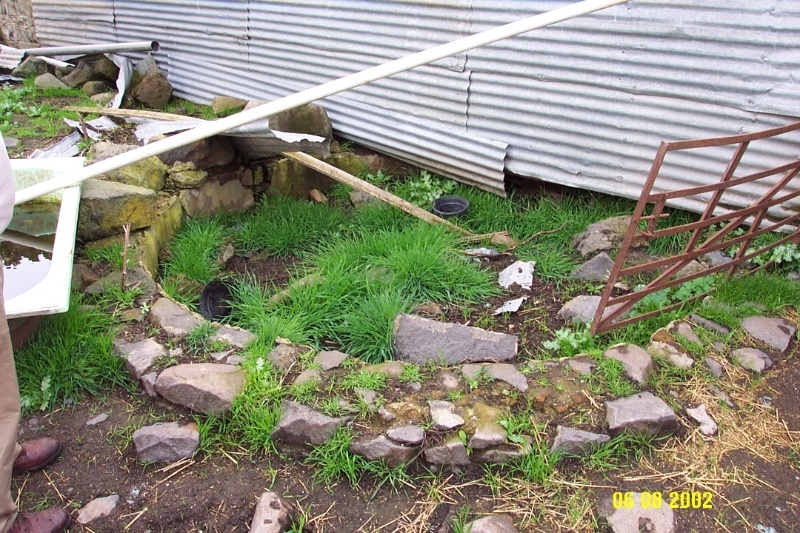 An underground tank survives on the north-eastern side of the house. The homestead was superseded by a new house, built in front of it, immediately after the Hilgay Estate was sold up for Soldier Settlement in December 1922. Parts of the original hometstead are said to have been reused in the new house. 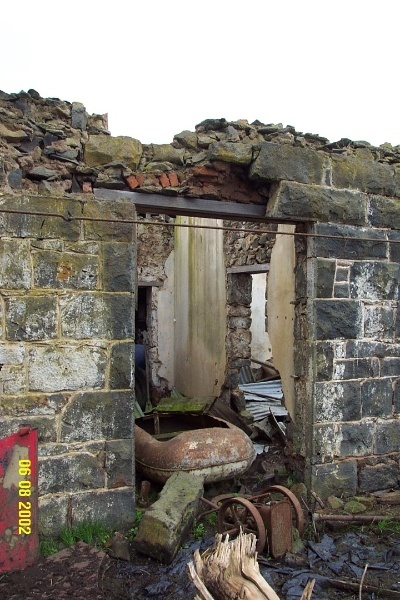 The rear section of the original house were later demolished and a corrugated iron shed was built over the foundations which still survive. 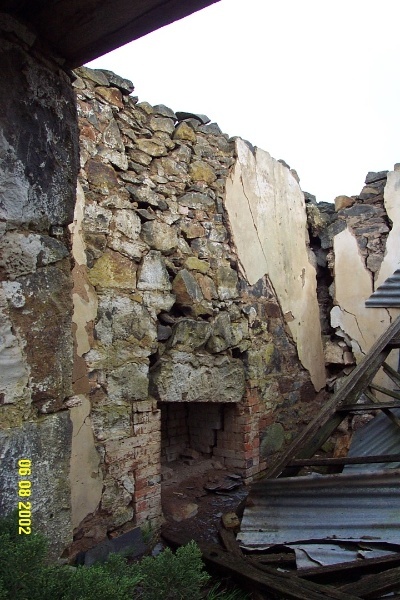 The new house was demolished in 2002 but the ruins of the verandah, the hall and the two front rooms of the original house remain. 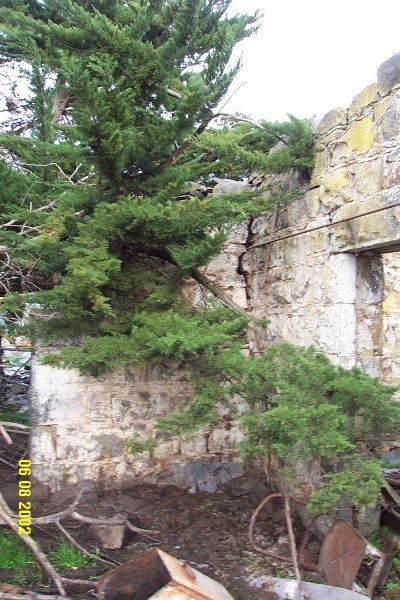 Several trees, almost certainly dating from the construction of the homestead, including three Italian Cypresses (Cupressus sempervirens), a Monteray Cypress (Cupressus macrocarpa), and a Peppercorn (Schinus molle) survive immediate to the ruined house. 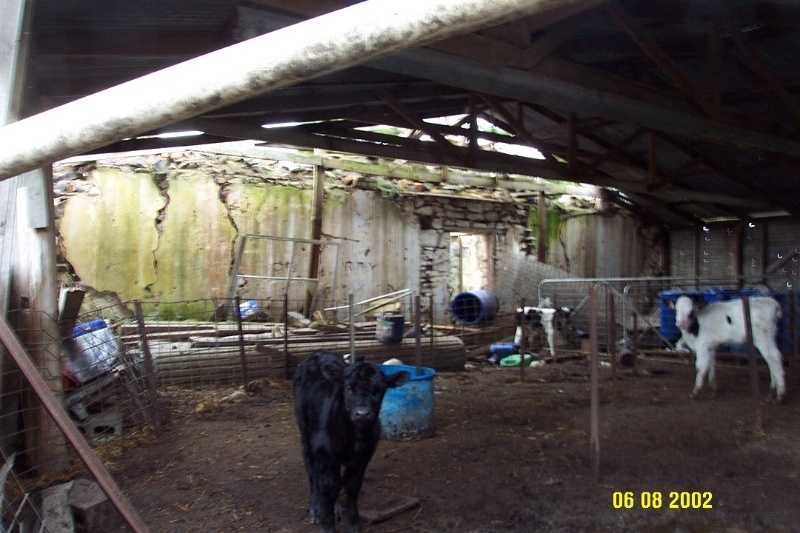 Now used as a dairy farm. R J Vickery, Soldier Settler and owner of homestead block from 1923.